“We strongly believe we stopped him on the way to a further attack, so lives were saved,” New Zealand Police Commissioner Mike Bush said Wednesday. “These guys aren’t hunters,” he told CBC News. Breidahl says he complained to the police, but was told they were “silly old duffers” and not to worry. He’d owned the weapon for about a decade and had been using it to help control the wild goats and pigs that sometimes frequent his property. “I was effectively wanting to trade off the convenience, against the possibility of other people losing their lives and for me that trade off didn’t make sense anymore,” he says. 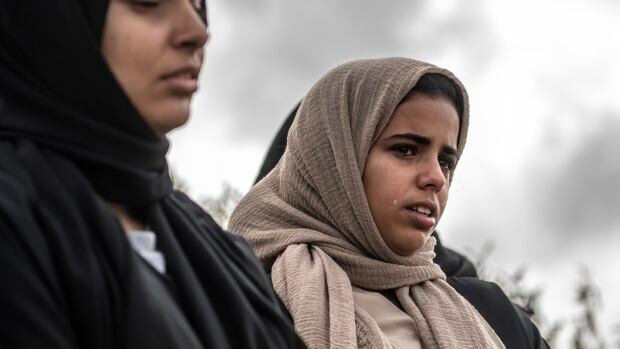 While the government has promised swift action on guns, an inquiry is underway to examine whether border officials, police and New Zealand’s intelligence agencies missed any red flags that could have alerted authorities before the mosques were attacked. WATCH | CBC’s Adrienne Arsenault reports, where many families are still waiting to bury their dead. The minister responsible for New Zealand’s intelligence services told news outlets that over the past nine months the government has specifically been looking at the rise of alt-right extremists, as the movement has manifested itself in other countries. Last Friday’s attack wasn’t the first time the Al-Noor mosque in Christchurch had been targeted. In 2016, a group of neo-Nazis turned up with a pig’s head. “We have had times, especially in the last five to six years, feared for our children and feared for ourselves,” Danzeisen says. “I am not saying everyone is bad, there are good people,” says Heaven Ikahsay a young mother who immigrated from Sudan to New Zealand ten years ago. She feels the attack didn’t have anything do with religion, but rather immigration. She said he’d been through four surgeries since the shooting and was still unconscious. Police, meanwhile, said they are working “relentlessly” to formally identify all of the victims and release the bodies to families, saying it would be unforgivable to return the wrong body to a grieving family.